Nissan has today released local prices and first product details for the highly anticipated Nissan JUKE range. The all-new urban cross-over is scheduled for local release in October 2013 with a manufacturer’s suggested list price* starting at $21,990*. “This is an exciting, fun-to-drive car that we expect will bring many new customers to Nissan,” said Peter Clissold, Executive General Manager of Marketing at Nissan Australia. The Nissan JUKE has been immensely popular in overseas markets and is anticipated to earn Nissan an even greater share of Australia’s Small SUV segment, 20 per cent of which is already occupied by the popular Nissan DUALIS. 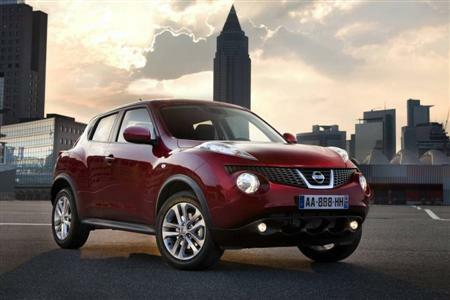 The all-new Nissan JUKE combines the dynamic style of a sporty hatchback with the proportions of an SUV. Its captivating look is underlined by a variety of striking features, such as its unique headlight design and motorcycle-inspired interior centre console. The launch of the Nissan JUKE is the latest instalment in Nissan Australia’s series of new-model introductions. The leading car maker will launch two more innovative and exciting new models by the end of the year, including the all-new Pathfinder SUV and the Altima mid-size sedan, both set to arrive in the next two months. Australian customers will be able to choose from two engines when the Nissan JUKE range goes on sale in October. The entry-grade JUKE ST (2WD) is powered by a smooth and efficient 1.6-litre four-cylinder petrol engine. Drivers seeking more performance can opt for the JUKE ST-S (2WD) or Ti-S (AWD), both powered by Nissan’s responsive and renowned 1.6-litre DIG (Direct Injection Gasoline) turbocharged petrol engine. Standard fitment on JUKE ST is a smooth-shifting five-speed manual transmission. The Juke ST-S comes fitted with a six-speed unit. Nissan’s next-generation X-TRONIC CVT (Continuously Variable Transmission) is optionally available for the JUKE ST but standard fitment on the range-topping JUKE Ti-S.
More details about the sporty JUKE urban cross-over will be announced closer to its time of release next month.